My Straight Out of the Camera Sunday entry is a photo of the centerpiece at my step-daughter's wedding reception. Everything was absolutely beautiful, and what's amazing and impressive is my step-daughter did everything herself, with the help of her mom and mothers-in law. They made all the centerpieces; they baked hundreds of cookies for the reception; they created cds of Christmas music for the guests. Yes, they did a LOT of work, but it all paid off, because everything was wonderful. Some people dream of being a doctor, teaching school, or writing car insurance quotes. My step-daughter's dream is to be a wedding planner, so she was truly in her element. 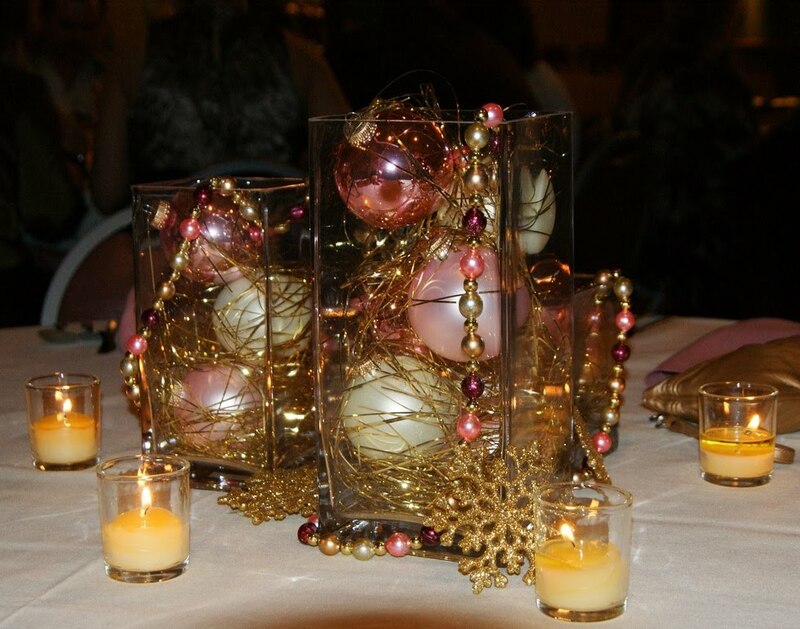 Beautiful center piece. She is really talented. Have a great day! Great idea for the centerpieces. Love your photo, too. She did a wonderful job..she should keep going with her dream. Lovely photo.